Across the country, I hear similar questions all the time. I meet parents who understand that playing a single sport year-round prior to high school is not good for their kids. But they are stuck. There is no alternative. Name any sport, and parents are often faced with a similar dilemma. 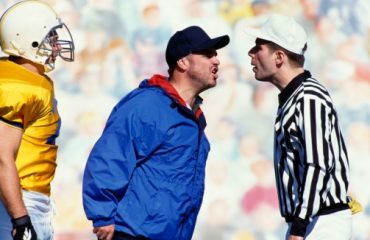 The only organizations that provide higher level coaching, and where most of the better athletes play, require all or nothing commitments far before any experts recommend them (As a caveat, this article does not pertain to sports considered early specialization sports such as female gymnastics, figure skating, and diving, where elite competitors reach their athletic peak in their mid-teens). Want a spot for your 8-year-old soccer player? Welcome aboard, as long as you make soccer your primary commitment 11 months a year. Want to play basketball this winter for three months? Sorry, we will give your spot to someone else. Does your family like to camp on summer weekends? Sorry, we have baseball tournaments every weekend, and we don’t take kids on our spring baseball travel team who won’t commit to playing in the summer and fall. The youth sports system, aptly called the “youth sports industrial complex” by ESPN writer Tim Keown, is failing our kids, especially when it comes to early sports specialization. We are robbing our kids of their childhood and the opportunity to experience the joy of participating in multiple sports. We are stressing out families who are just trying to provide opportunities for their kids. We are creating financial and commitment obstacles that prevent kids from sampling numerous sports, and finding ones that fit the best. We are creating a generation of injured, burned out kids who stop sports altogether, leading to a lifetime of health issues. Perhaps worst of all, we are failing to develop fundamental movement skills in our kids – often termed physical literacy – by focusing on sport-specific form and skills before kids have learned to move correctly. In other words, we teach technical skills to athletes who do not learn to run correctly, jump correctly, or land correctly, and then we wonder why so many are injured. The reason kids are being asked to play a single sport has little to do with science and psychology, and more to do with the business of youth sports. Our youth sports organizations are not forcing children to play a single sport year-round because the physician’s, sport scientists and child development experts are recommending that pathway. They are doing it because if hockey doesn’t, soccer will. If baseball doesn’t, lacrosse will. If our club doesn’t, our neighboring club will, and we will lose all our players. Even as organizations such as USA Hockey, US Lacrosse, and US Youth Soccer have come out with position statements encouraging multi-sport participation, on the local level many of their affiliate organizations have not followed through. We are not serving our kids. When it comes to youth sports too often we are focused on the needs of the business, and ignoring the needs of the child. We are making business decisions, not human decisions. In an August 2016 position paper entitled “Sport Specialization and Intensive Training in Young Athletes,” the American Academy of Pediatrics released several recommendations for their physicians, citing research demonstrating the physical, social and emotional risks for children who specialize too young. They have concluded that research demonstrates postponing specialization until puberty decreases injury, burnout and stress in children, but that such advice is being ignored. Research by the US Olympic Committee and others demonstrates that postponing specialization gives an athlete a great chance of achieving his or her goals, especially in reaching elite levels of competition. US Olympians were involved in an average of three sports a year until age 14. Yet more families are going down the early specialization pathway. An article on early sport specialization about the roots, effectiveness, and risks of labeling youth as talented and immersing children in an adult-centered world focusing on scholarships, professional contracts. Research highlights the many risks, and that there is little evidence it is a better path to elite performance. While every athlete’s path is an individual one, the evidence is pretty conclusive that developing highly functioning human beings, and elite athletes, does not need to go down the path of early specialization. The best path is an early multi-sport path that helps athletes find their passion, instead of determining it for them. It includes a lot of free play, falling out of trees, and unsupervised activity where kids learn movement. It is a path that postpones specialization, allows for adequate rest and time off, and promotes early functional and neuromuscular development as a basis for training sport specific skills. It postpones discussion of college scholarships and player rankings during the formative years. It is a path that encourages above all else the health and well-being of the athlete involved, regardless of its effect on the business operations of the organization. But sadly, this is not happening often. In fact, it is usually the opposite. The soccer people tell me that soccer is an early specialization sport around the world, but I believe they are missing the forest for the trees.. Yes, I agree that kids throughout the world play a lot of soccer, but once they enter professional development pipelines, they are participating in a variety of activities to promote all around athleticism, flexibility and neuromuscular development that enhance their soccer. Zlatan Ibrahimovic got his black belt while a youth at Ajax in Holland. Visit Carrington, the Manchester United training complex, and you will see what I saw; something that looks like a combination weight room and gymnastics arena. At all the top academies, players are enrolled in a comprehensive program that improves athleticism, monitors health and well-being, ensures proper sleep and nutrition, and more. Coaches: if you are coaching kids age 12 or younger, you have an ethical responsibility to those children to provide and/or allow for a multi-sport experience for them. You must incorporate fundamental movement development into your training. All athletes, regardless of sport, should be taught how to correctly run, jump, fall, roll, catch, throw, turn and twist. The younger your players, the more focus on movement, and less on sport specific skills. Anything less is setting your kids up to fail! Coaches, you must also create the space for your athletes to play more than one sport. Give them an adequate off-season; they younger they are, the longer it should be. Sure, if they do not practice 4x a week all winter they may fall a bit behind those who do, but you are also preventing burnout, increasing motivation, developing athleticism and helping prevent injury. Development is not linear; some kids want more off-season training, and some want less. Serve the individual. Work with coaches of other sports for the benefit of the child. Help kids find balance, and ensure they get proper rest (according to the American Academy of Pediatrics, that means at least 3 x 1 month rest periods from your sport). 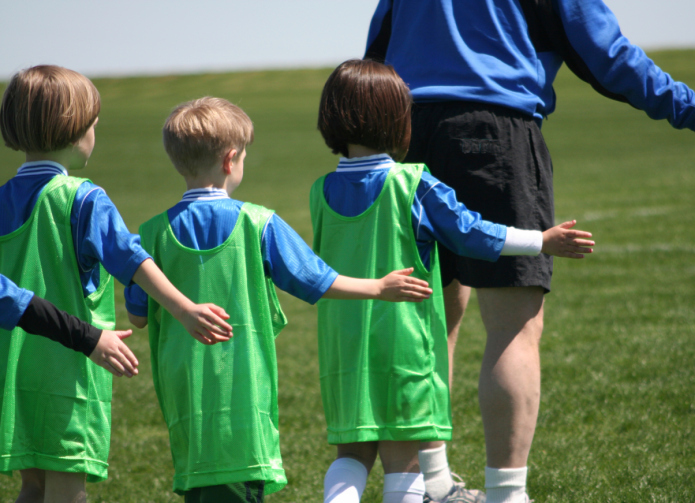 Youth Sports Organizations: Stop creating one size fits all programming. Not every young female soccer player wants to be the next Mia Hamm, so why are they all participating in the program designed to produce the next Mia? Why is an athletic, skillful 8-year-old soccer player told to either play park and rec, or a year round, four-season program? What if they are a strong player and a good athlete who belongs with your top players, but isn’t ready to commit to a full year yet? It seems silly to tell her family it’s all or nothing, as some good ones will choose nothing! Youth sports organizations also need to delay high-cost, high-commitment travel programs as long as possible. Develop as many kids as possible with the best coaching possible for as long as possible instead of segregating the haves and have nots in elementary school. Sure your 10U soccer players travel now, so you are trying to get a handle on your 9U’s by setting up a more organized program. Resist the urge three years from now to say “well, they are already organized, let’s just start a league for them” and thus push your higher level programming down to the 8U’s. In another few years, there will be a league for them too. It’s a death spiral for our kids. Find a training balance that works for all kids and delay the 6 day a week programming until at least 12. I have worked with some very successful sports organizations that have limited training for their teams to two times per week, instead of the 3-4 that others require. They then allow players who are looking for additional sessions to play up an age or two. They have girls train with the boys. Imagine a 14-year-old boy who is the best on his team. Will he improve faster practicing an extra night or two-a-week with his team, or in more challenging situations with older kids? This allows your most motivated kids a more challenging pathway, and the kids who do other sports, or theater/music/art, to find their own best pathway while still playing at a level equivalent to their ability. Sport Governing Bodies: It’s time to stop paying lip service to our overplayed, burned out kids and do more. Most have issued position statements on early specialization, but they must do more to educate all their coaches. My experience in speaking to thousands of coaches a year tells me that very few coaches understand the need for foundational movement training at young ages. Most coaches do not know a lot about overuse injury and burnout, nor have they had a conversation with an orthopedic or pediatric specialist about the over-training/improper training of many kids. Perhaps most importantly, governing bodies can make a concerted effort to celebrate the organizations that do it right, much like USA Hockey does with its ADM Model Club designation. Every governing body should create high standards and allow clubs that meet them to brand their website appropriately, so their neighbor that focuses on things other than best practices can be shown as failing to meet the standard. Let’s start celebrating those organizations that do things the right way, and let them demonstrate to parents that they are following best practices. Parents: The more parents I speak to, the more I understand their feeling of helplessness. They talk to their doctors, they listen to the scientifically based advice, and then they run up against the brick wall of all or nothing requirements for kids. They have athletic children who are far above the single season, local town league standard, and thus want to play with better players. But their kids are not ready to give up other sports in 3rd or 4th grade. They may have multiple kids and are not yet prepared to make a huge time or financial commitment to one sport. They understand that one day this may happen, but does it really have to start while their kid is still learning to read? Parents, please start asking your local organizations for a developmental pathway that is actually in the best interest of your child, and not the best interest of their business. Ask your year round sports club if movement training takes place. Is your child being taught how to properly run, jump, land, fall, roll and more? What about injury prevention programs such as FIFA Marc 11, which has been shown to decrease ACL and other injuries by up to 50% when properly implemented. Are these exercises taught and carefully supervised, or does your child go through the motions while his coach sets up the rest of training? Please ask your organizations to make it very clear what kind of functional movement they are doing with the kids, and how they are educating their coaches on the dangers of overuse injury and burnout. If your child has gone down that single sport path prior to age 12, please ensure that he or she is getting adequate rest, downtime and an off-season. Get your kids doing other sports, not necessarily team travel sports, but martial arts, yoga, parkour and tumbling that teach them to move their bodies and build athleticism. I have met 14-year-old soccer players who cannot balance on their kicking foot; this is a recipe for disaster, and parents must look after their kids when their youth sports clubs do not. 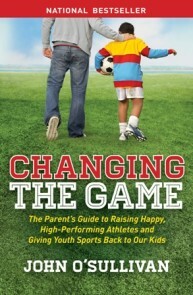 According to all the expert evidence linked to above, evidence provided by actual specialists in sport science, medicine, and psychology, any organization that is allowing, encouraging or forcing a child to play a single sport prior to age 12, and is not actively developing that child in functional movement and all around athleticism, while also mandating rest and time off, is creating a dangerous situation for that child. They are taking huge risks with his or her health, well-being, and lifetime love of activity. End of story. If you got this far, now you know better too. 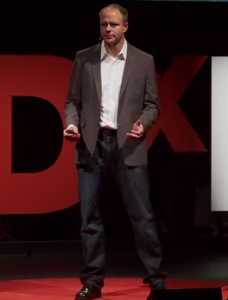 Let’s stop making business decisions, and start making human ones. Let’s give the game back to the kids.